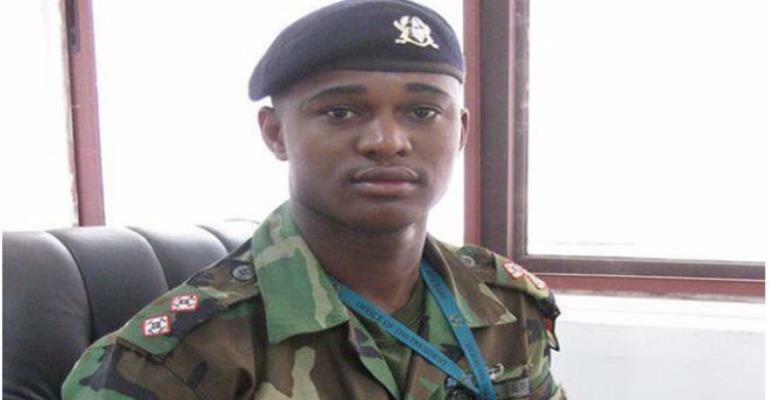 A prosecution witness in the trial of 14 persons accused of killing Major Mahama at Dekyira Obuasi in the Central Region told an Accra High Court how the late soldier sustained multiple marks of violence. Detective Sergeant Solomon Sakyimah told the court how Major Mahama was lying down motionless with blood oozing from his nose when police officers got to the scene where he was lynched. The witness told the court that he and other police officers saw the wounds as a result of the violent attack and said they used a stick to remove the T-shirt the deceased was wearing. “General Corporal Kofi Sarpong used a stick to remove the T-shirt from the body; there were multiple marks of violence with blood oozing from the nose and the mouth but he was not moving”, the witness stated. The court also heard how the late Major Mahama shot one Amash in the leg from the back during the attack. “We met this young man called Amash. When we asked him how he got injured, he said he was shot by the man (Maj. Mahama). We met at the scene at the back when he wanted to take a pistol from him because he thought he had run out of ammunition. Detective Sakyimah, who is an investigator and stationed at Denkyira Dominase, told the court that he and the other police officers took pictures of the crime scene and handed them to officers from Denkyira Obuasi since the incident was in their jurisdiction. He also stated that later in the evening, he heard that the deceased was a military officer and not a robber as initially thought. After his evidence in chief, the court presided over by Justice Mariama Owusu adjourned for today.